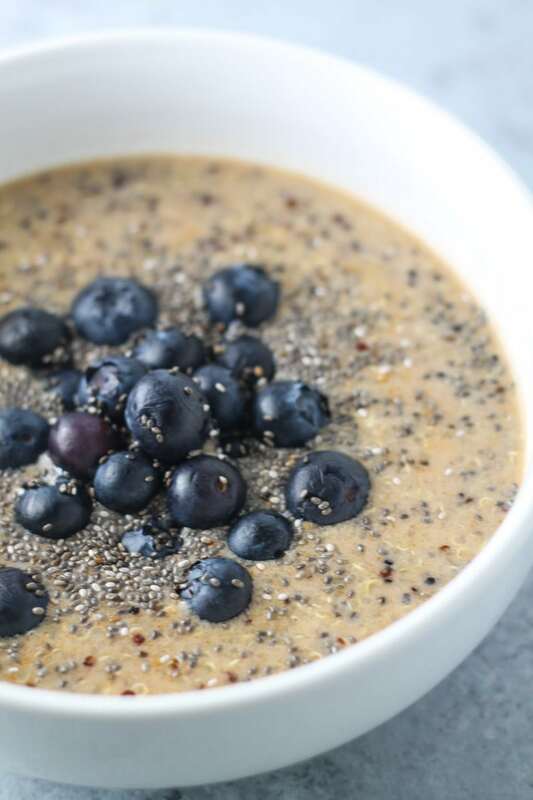 Start your day off right with this delicious and nutritious Low FODMAP Breakfast Quinoa. 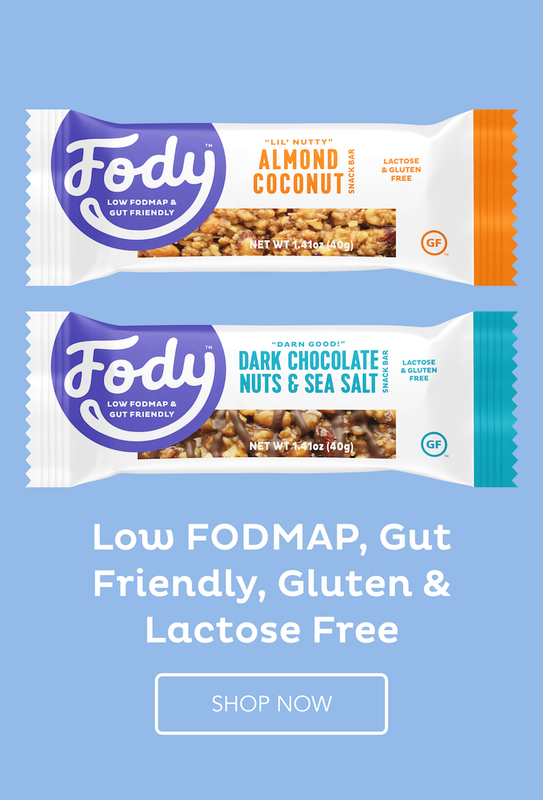 Not only is this recipe gluten and dairy free, but it’s also packed with nutrients and ready in less than 5 minutes! 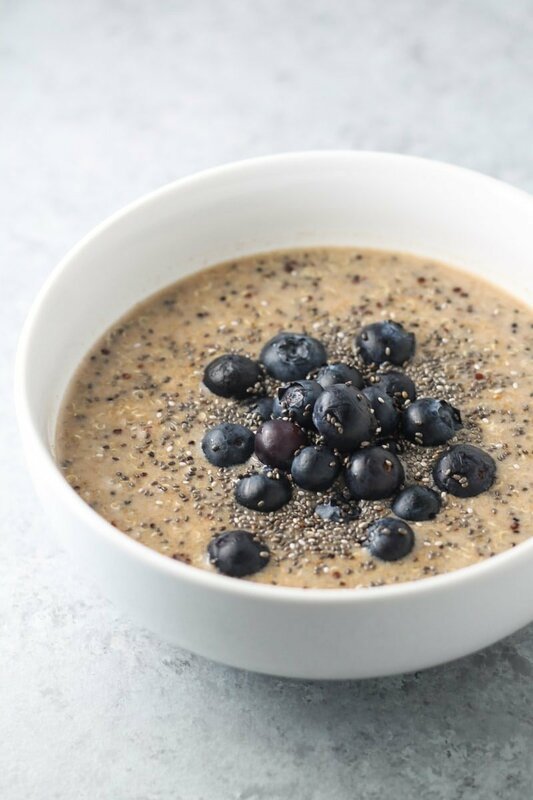 A whole grain superstar, quinoa offers a source of complete plant-based protein, which is especially important for people following a vegetarian or vegan lifestyle. 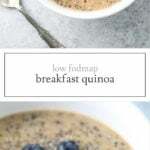 This Low FODMAP Breakfast Quinoa is similar to a bowl of oats and a great way to switch things up in the morning. Note: Rinse your quinoa well before cooking to help reduce a naturally-occurring bitter or earthy flavor. Whisk together macadamia milk, maple syrup, and cinnamon. Pour over quinoa and stir. Microwave for 60 seconds. Stir and microwave for another 30 to 60 seconds, as needed, until warm. 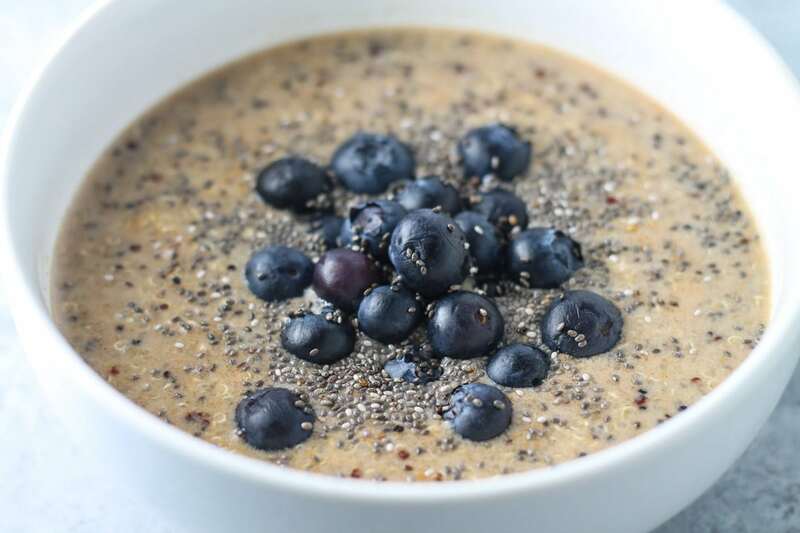 Top with blueberries and optional chia seeds. Serve. Blueberries: A low FODMAP serving is 20 berries or 28 grams.